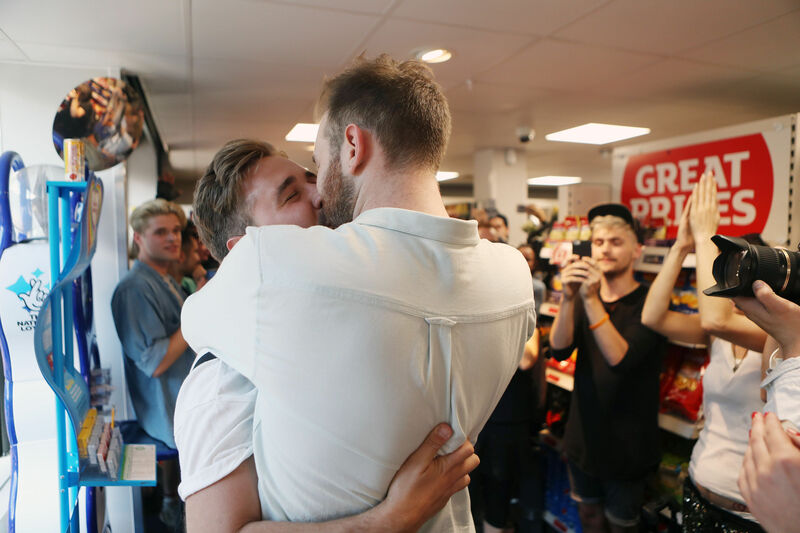 Hundreds have taken part in a ‘kiss-in’ protest at Sainsbury’s Local in Hackney, in a show of support for a gay couple who were allegedly asked to leave a store for holding hands. 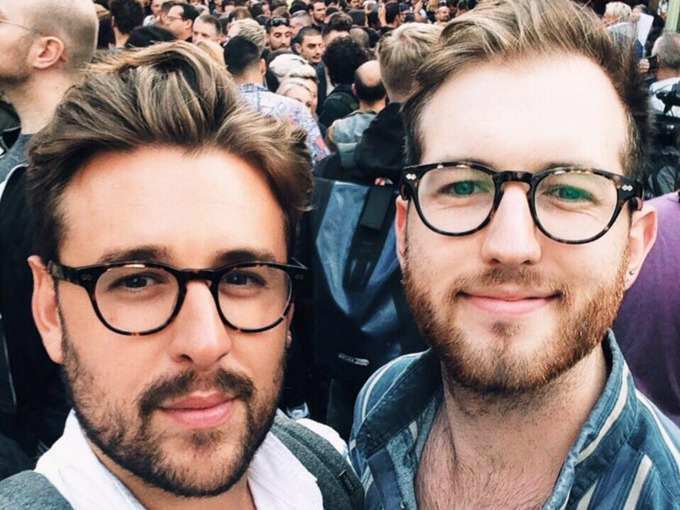 Thomas Rees, 32, and boyfriend Joshua Bradwell, 25, say they got kicked out by a security guard, after a customer complained about them ‘touching appropriately’. 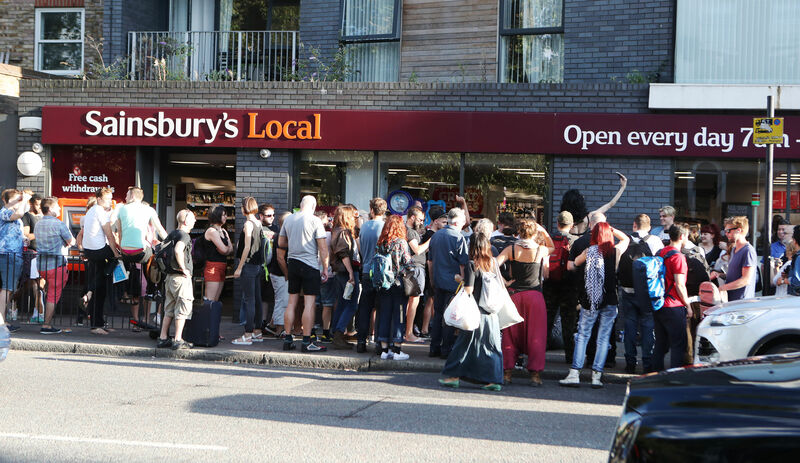 Roughly 200 people descended on the Sainsbury’s in Hackney Road yesterday evening, dancing outside the shop and filling the aisles in support of the couple. Shoppers looked pretty damn confused as a load of gay men and women started flooding the store before a countdown to the mass kiss-in. The couple, who had never attended a protest before, said they felt inspired to become involved in LGBT activism. Both of us have received messages from people around the world who don’t even have the courage to hold hands, let alone stand up against something like this. You have to do so. We wish Thomas and Joshua all the best for the future.